Introducing Postcards from the South. 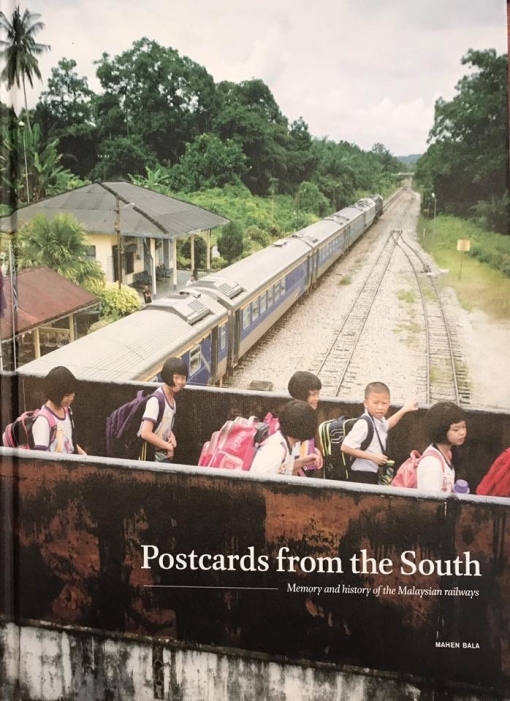 The 394 page book, a work of love by its author Mahen Bala, offers a wonderful collection of stories of stations and interactions with them, previously unpublished photographs and maps, as well as a historic look at the southern stretches of the Malayan Railway – between Gemas and Tanjong Pagar. 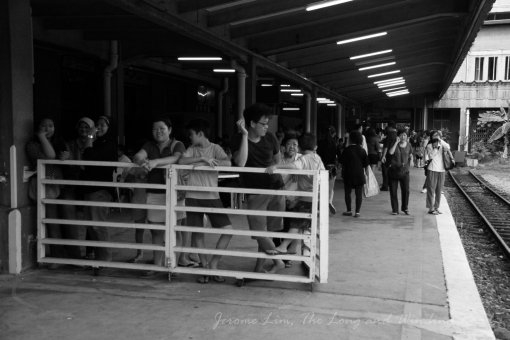 Tanjong Pagar Railway Station, Bukit Timah Railway Station as well as the Causeway, which provided a vital link to the Peninsula, also feature. 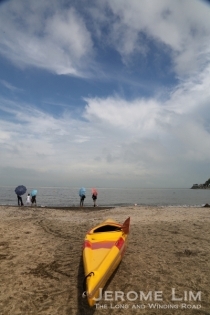 The book will go on sale in Singapore at Kinokuniya and Select Books in about 2 weeks time. 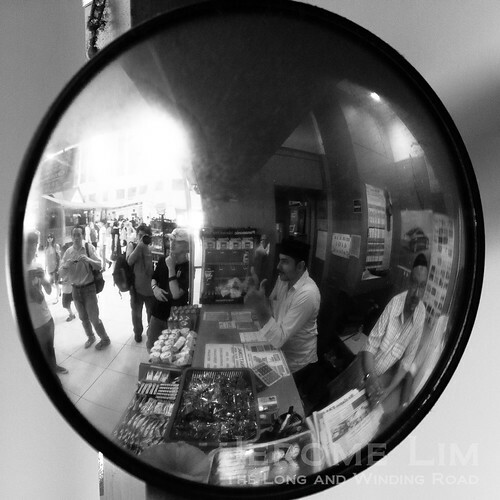 More information on the book can be found at Projek Keretapi Kita. 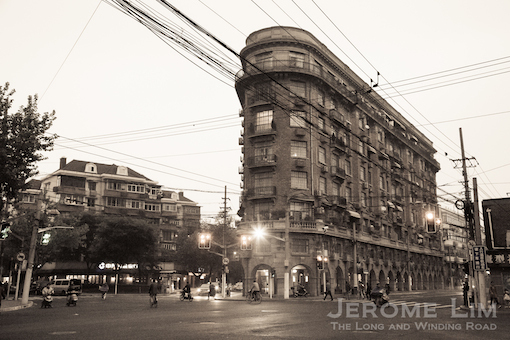 Cover of Postcards from the South. 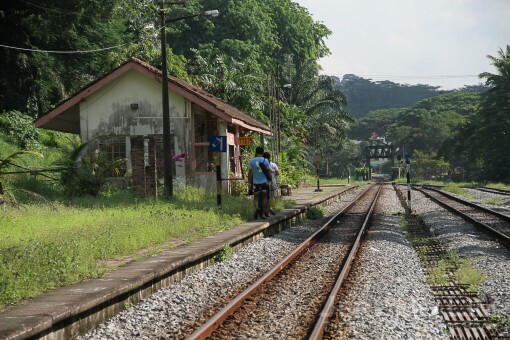 Bukit Timah Railway Station and one of its last Station Masters, Atan Ahmad (image : Projek Keretapi Kita). 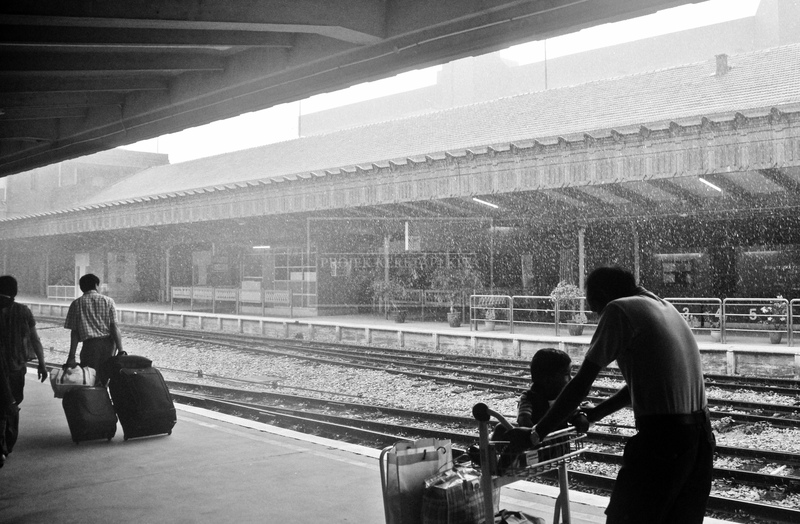 Tanjong Pagar Railway Station (image: Projek Keretapi Kita). 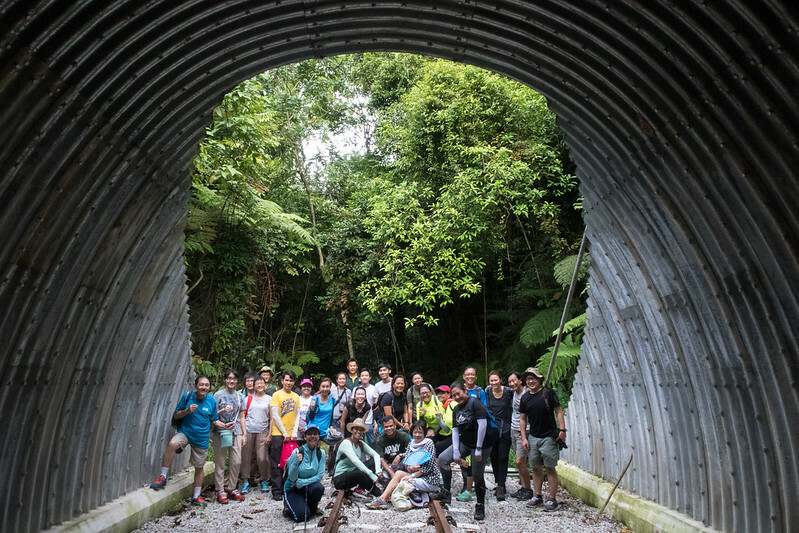 Looking quite good is the “new” railway tunnel along the abandoned and largely forgotten old Jurong railway line. 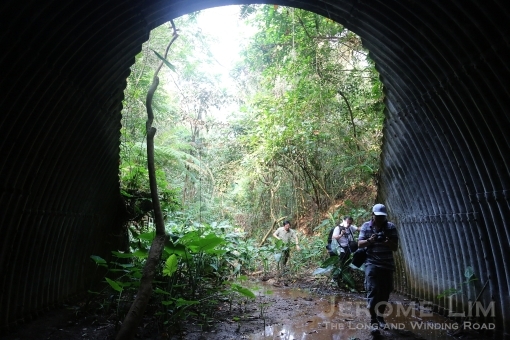 The original tunnel was one of three built as part of an industrial line in the early 1960s, allowing goods trains to pass under Clementi Road. All three tunnels are quite surprisingly still intact. Significant bits of the line’s other paraphernalia, such as a truss bridge, five girder bridges, bits of sleepers, rusting tracks, as well as several railway signs, can also still be found. 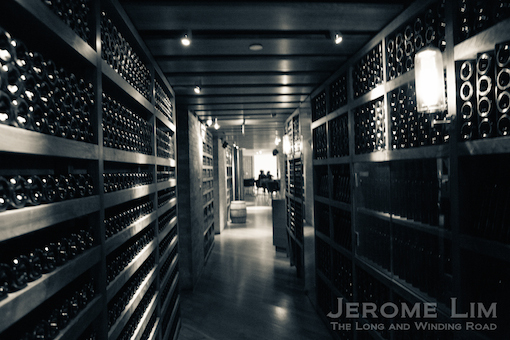 The light at the end of the “new” tunnel. A view from the inside in 2014. The “new” tunnel, actually the old tunnel refurbished with an extension added is part of a preserved stretch of the Jurong Line. 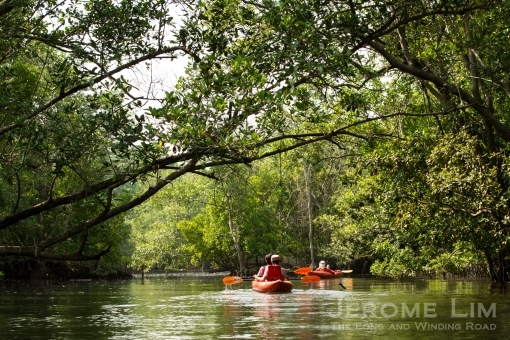 The stretch that is being kept runs from the point at which the line branched off just south of Bukit Timah Railway Station over to the very visible truss bridge over the Ulu Pandan River. An eastward view of the tunnel entrance. 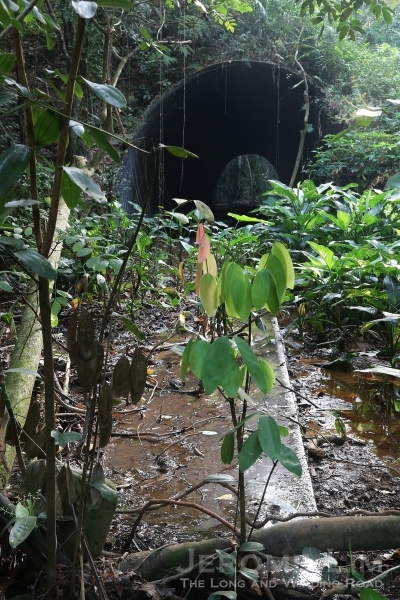 Waterlogged tracks leading to the tunnel entrance in 2014. 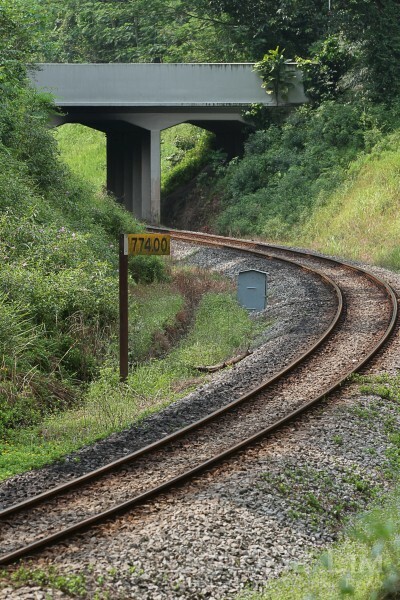 An extension to the tunnel was required due to the widening of Clementi Road. 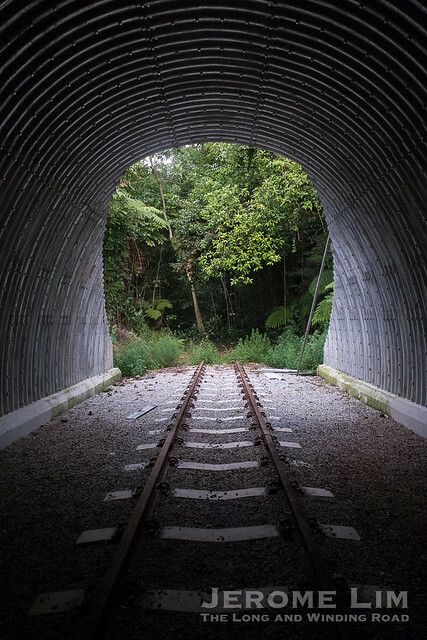 An effort seems to have been made to also maintain the tunnel’s original character with the retention of its corrugated lining (even if that may have had to be replaced) and also the extension into the extended length of the tunnel. Tracks, and substitute concrete sleepers have also been laid in way of the extension. What is also good to see that the water collected in the previously flooded tunnel has also been drained as part of this effort. Remnants of the line’s tracks on the western side of the tunnel. A May Day walk to the tunnel. 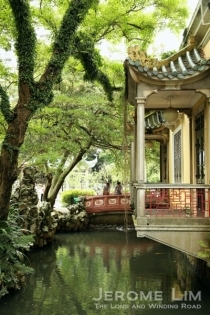 A wonderful set of photographs popped up On a Little Street in Singapore last week. The photographs were posted by Lies Strijker-Klaij and includes several of the old Anchor Brewery at which Mrs Strijker’s husband, the photographer, headed its Brewhouse and Bottling Hall in the 1960s as an employee of Heineken. 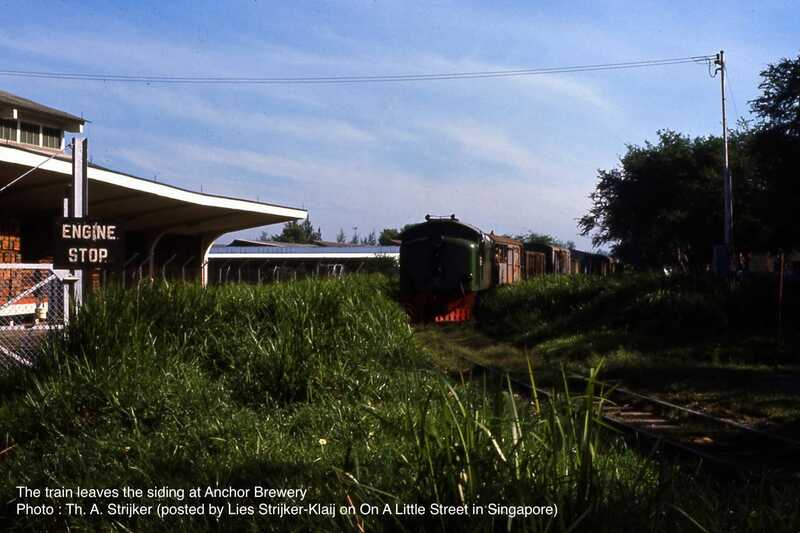 The set of the brewery includes several rare photographs of the railway siding and the bonded store that was sited across Alexandra Road (where IKEA stands today), as well as an overhead conveyor bridge that was used to convey beer across to the store. Together with the brewery, the bridge was a longtime landmark in the area. An aerial view showing the brewery, the bridge , the bonded store, and the railway siding (photo: Th. A. Strijker). The brewery, occupied the spot where Anchorpoint (the shopping mall) and the Anchorage (a condominium) stands today. 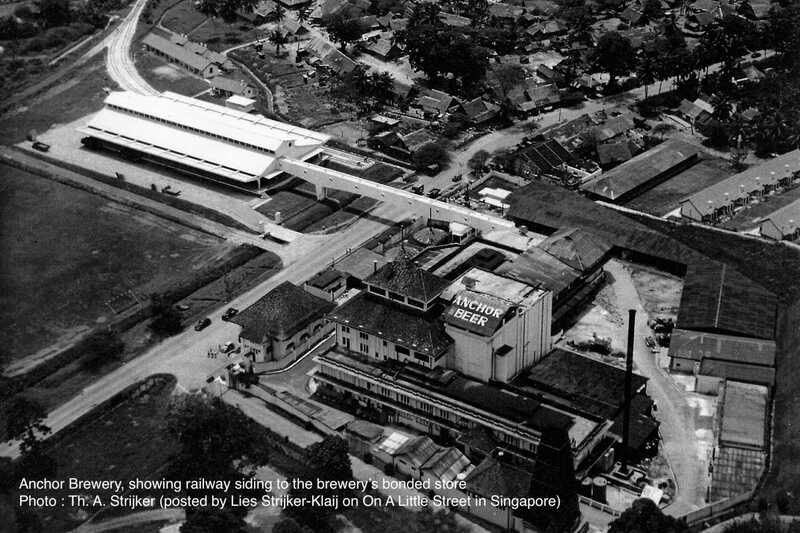 It was one of two breweries along a partly industrialised Alexandra Road, the other brewery being the Malayan Breweries Limited (MBL), a venture between Fraser and Neave (F&N) and Heineken. The Anchor Brewery, producing Anchor Beer, began as a $1 million venture by the Dutch East Indies based Archipel Brouwerij Compagnie named the Archipelago Brewery Company (ABC) on 4 November 1933. 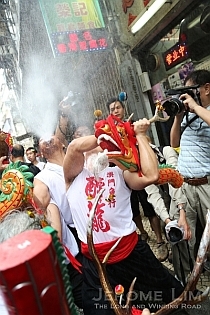 As a rival to MBL, which produced Tiger Beer, it entered into a five-year pooling agreement in March 1938. The agreement, secured for it a 40% share of the beer market and 70% of the stout market in Malaya, with the intention that it was to eventually be extended to the breweries’ other markets in Southeast Asia, India, Hong Kong and China. 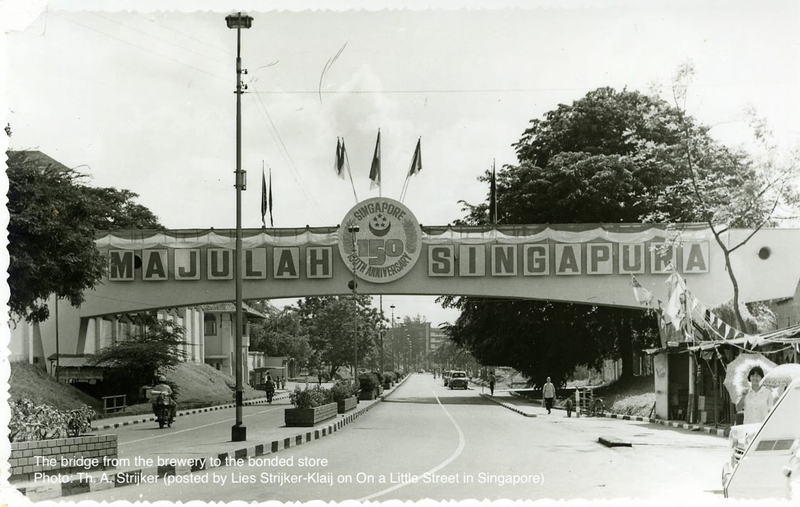 The bridge to the bonded store over Alexandra Road, 1969, decorated for the 150th Anniversary of the founding of modern Singapore (photo: Th. A. Strijker). A turn of events in Europe just one and a half years later would lead to MBL’s acquisition of ABC. Britain had declared war with Germany following the German invasion of Poland in September 1939. ABC, which Germany’s Beck’s Brewery had an interest in, was then abandoned by its German management team and found itself in the hands of the government, who decided to keep the brewery running under their care before putting it up for sale in 1940. MBL submitted the winning bid and set up a subsidiary – the Archipelago Brewery Company (1941) – to run the brewery in 1941. It wasn’t to be long however before another turn of events – the Japanese invasion and occupation – saw the brewery’s operators change hands once again when Dai Nippon, the producer of Asahi Beer in Japan, was asked to operate the brewery from late 1942. The bonded store and a train leaving it (photo: Th. A. Strijker). MBL returned to running the breweries after the war and it was in this post-war period in 1949 when the conveyor bridge, built 6 metres above Alexandra Road, was added along with a bonded storehouse (where IKEA is today). 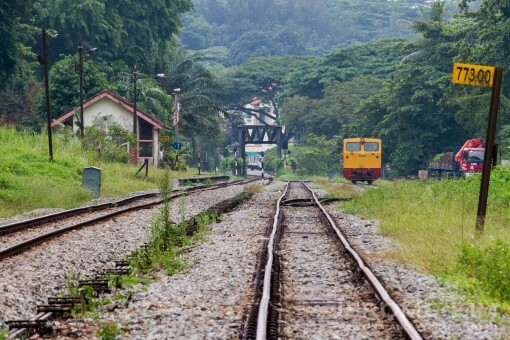 A private railway siding, connected the store with a pre-existing industrial branch line that connected with the main line across Jalan Bukit Merah. The industrial line was in use until the early 1980s, after which it was dismantled. 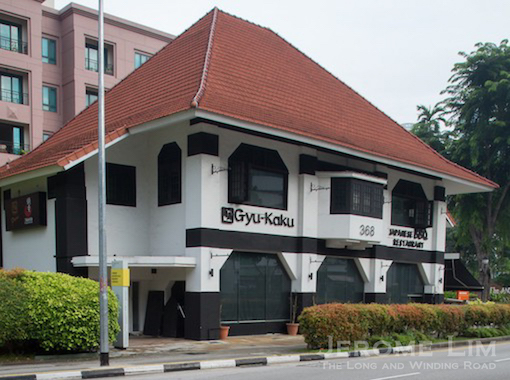 The brewery closed in 1990 when MBL’s brewing operations were relocated to a new factory in Tuas and together with its iconic conveyor bridge and its store, were demolished in 1993 – except for a Arts and Crafts movement inspired house along Alexandra Road – the former residence of the brew master. The conservation building, now used as a restaurant, along with several hints of the former brewery found in the names of the mall and condominium that has replaced it (and also the ABC Brickworks Food Centre), are all that now remains of a brewery that introduced to Singapore what became until the 1980s at least, its favourite beer. A loaded train leaving the siding (photo: Th. A. Strijker). 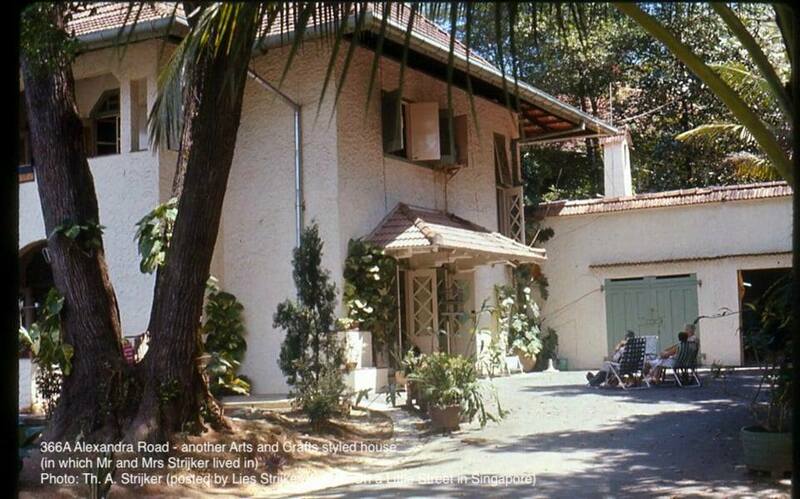 The former Brewmaster’s House – conserved in 1993. The tunnel under the circus at Jalan Bahru (now where Jurong Town Hall Road passes under the Ayer Rajah Expressway) was one of three railway tunnels built for the industrial Jurong Railway Line. 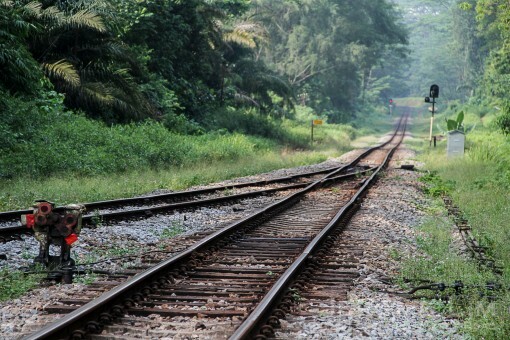 The line, built as part of the development of Jurong Indistrial Estate in the mid 1960s, was one of the more profitable sections of the Malaysian run railway and fell into disuse in the early 1990s. 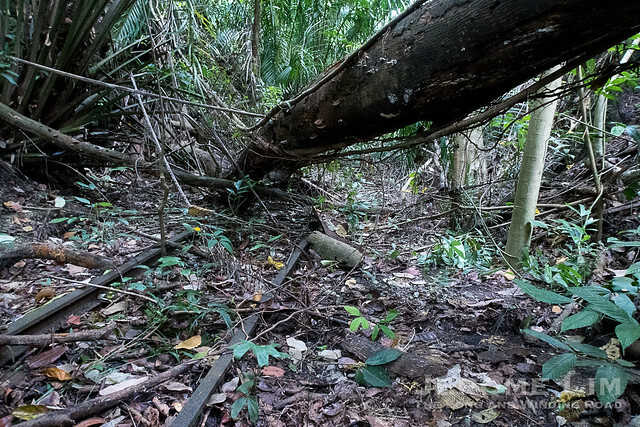 Large parts of the abandoned line have since been built over, although several sections of it, including a series of steel and concrete bridges and sections of tracks can still be found. 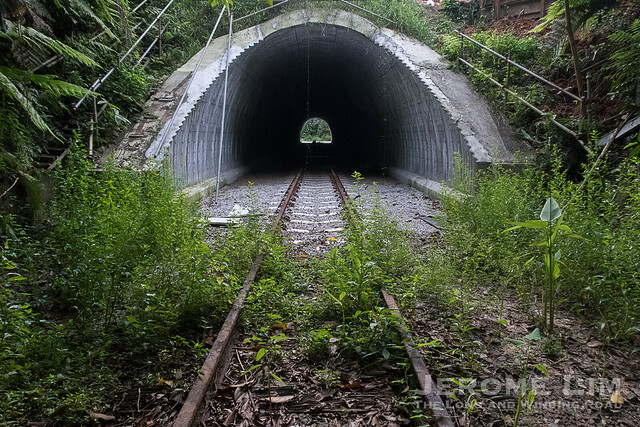 The tunnels, all of which were constructed by Hong Guan Construction Engineering Co. Ltd. and lined with corrugated steel, are also still around. The westernmost tunnel, now under Jurong Pier Circus (previously the junction of Jalan Buroh and Jalan Pabrik) is difficult to reach. A third tunnel, under Clementi Road, is being extended for the road widening project taking place above it. 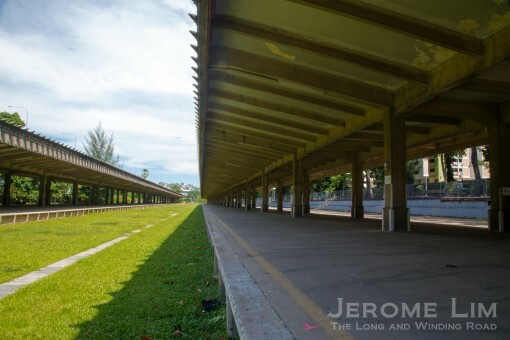 The second stretch of the Rail Corridor being affected by the Murnane Pipeline Project, which extends from Commonwealth Ave all the way southwards to Tanjong Pagar Railway Station, is being closed to the public from 19 September 2016. A section within the stretch, from Jalan Kilang Bahru to Tanjong Pagar, will remain closed until the pipe laying project is completed. Its reopening is scheduled for the fourth quarter of 2019. 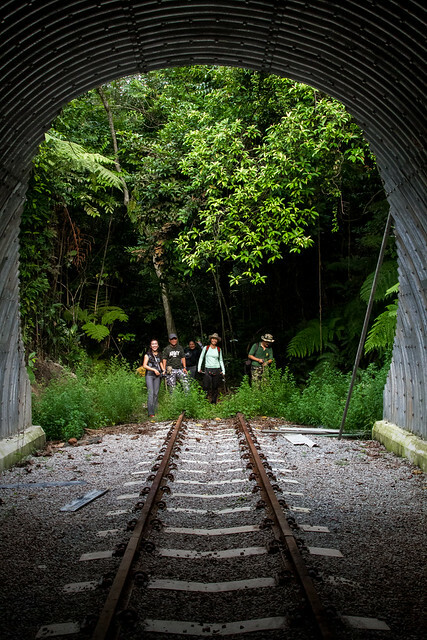 Part the stretch to be closed at Tanglin Halt, seen in the days of the railway. Work has already commenced in the initial section that was closed. The final section affected, from Jalan Anak Bukit to Holland Road, will close later this year. Beside the closures affecting the Rail Corridor, work on the final stretch of the MRT’s Circle Line will see Tanjong Pagar Railway Station closed from next year. 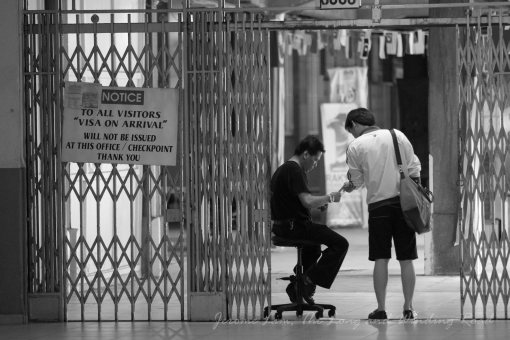 The station, under which the MRT line is being run, will only reopen in 2025. Updates on the Murnane Pipeline Project, and on the closure and reopening of the affected stretches, kindly visit the PUB Facebook Page. Schedule for closure of the southern stretch of the Rail Corridor (click to expand). The time has come to say goodbye, albeit a temporary one, to another old friend. 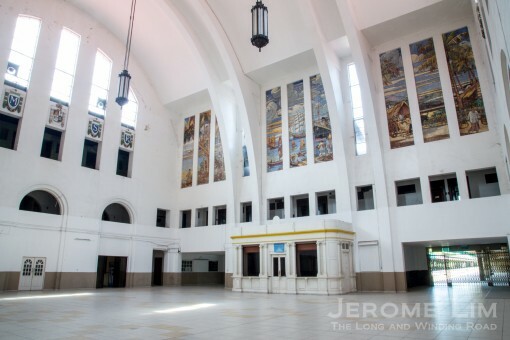 The former Tanjong Pagar Railway Station is set to be closed come the new year so that the extension of the Circle Line MRT and the construction of a MRT station can go on beneath it. 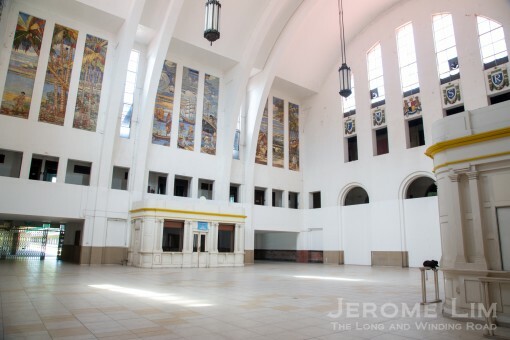 If all goes well, it will only be reopened in 2025, by which time it will have a feel that will be very different that which has existed at the station through the grand art-deco inspired station’s 84 year history. 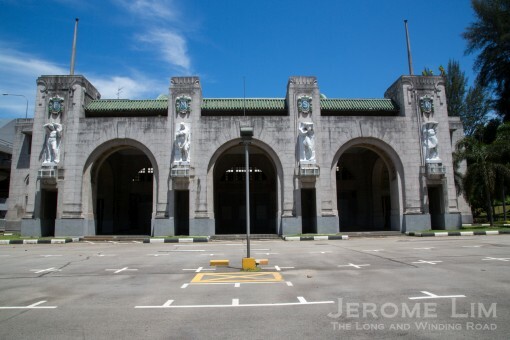 The famous façade of the station features four triumphal figures sculptured by Angelo Vannetti of the Raoul Bigazzi Studios in Florence that represent the then four pillars of the Malayan economy. The former station holds the memories of many. 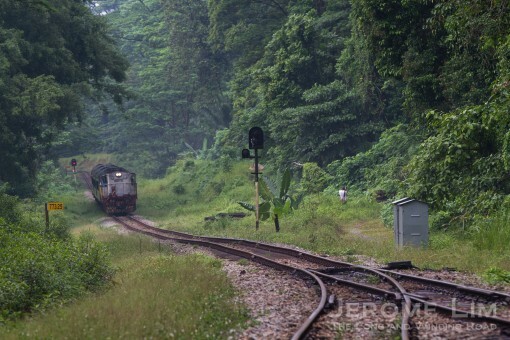 The railway’s mostly Malaysian staff still speak fondly of their days in what has to be one of the grander stations to serve along the Malayan railway. 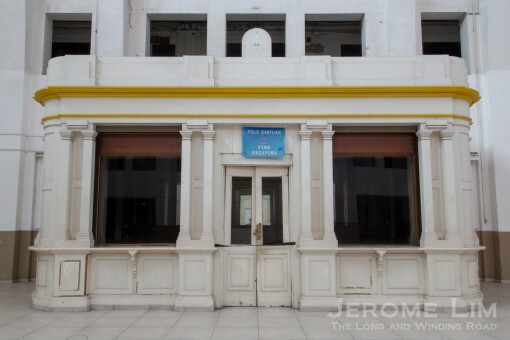 There also are the memories of the numerous passengers who passed through its especially grand vaulted main hall; many depended on the railway not just for forays across the causeway, but also as a well used link for the thousands who commuted from the homes in southern Johor to Singapore for their work and even to attend school. 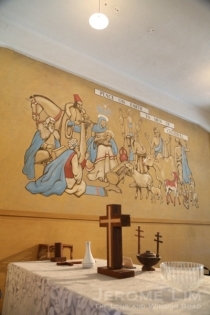 Murals decorate the main hall. 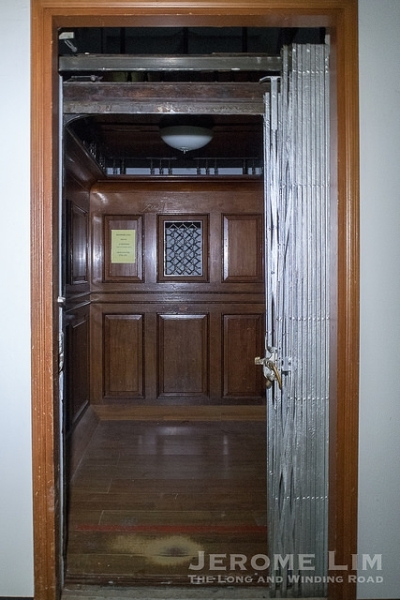 The hall also features two booths made of teak wood that have since been painted over. 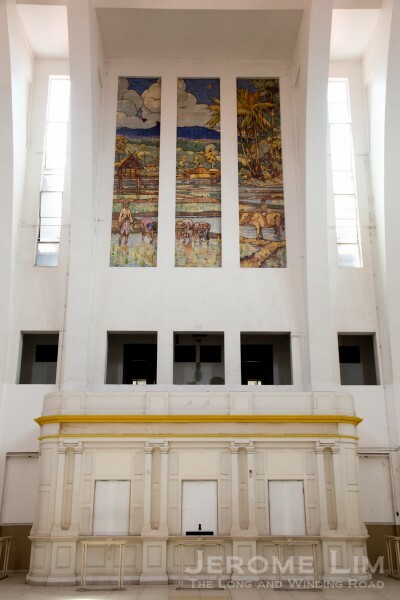 A view of the main hall without the clutter of the last days. 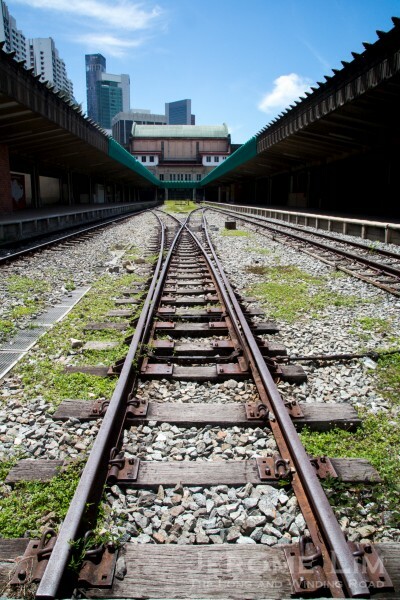 As part of the Request for Proposals (RFP) to develop a concept plan for the Rail Corridor, which was returned to Singapore on 1 July 2011, a concept design was sought for the adaptive reuse of the former station for an interim period of 20 years. During this period, the nearby port facility the station had been positioned to serve, will make a westward move, following which plans for the Greater Southern Waterfront, into which the former station will be incorporated, will be firmed up. The end of the line. This year is the last year we get to take in this perspective. 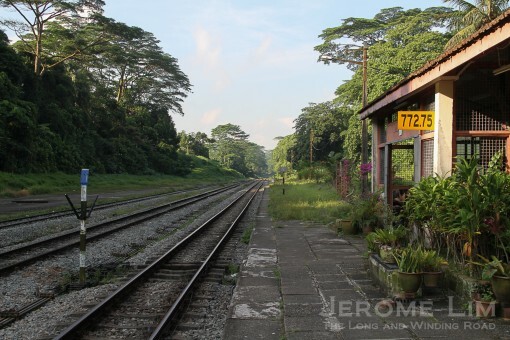 It is one that has greeted three generations of travellers coming by train to Singapore for some 79 years before the closure of the railway at the end of June 2011. The completion of the Circle Line also dovetails into this and the tunnels for the line will run directly under the station to minimise the potential for uneven ground settlement and the risk of damage to the precious structure of the National Monument. A MRT station, Cantonment Station (its working name), is also being built under a part of the station’s platforms. For this, sections of the platforms, which had apparently been assembled in a modular manner, will be removed and stored to allow excavation work to be carried out for the MRT stations’s construction. The intention will be to reinstate the removed platform sections and refurbish them after the work for the MRT station is completed. 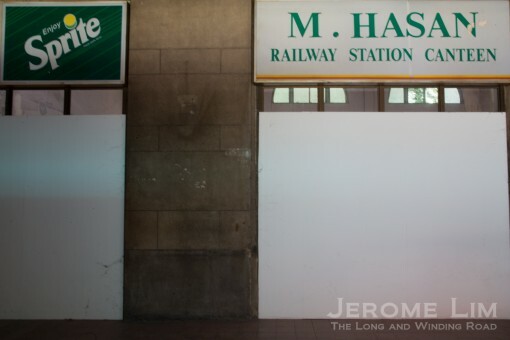 Gaps in the station’s platforms, said to be amongst the longest in the Malayan Railway’s stations, point to where the modular sections come together. 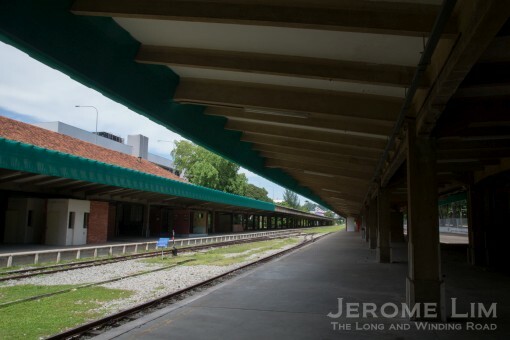 One of the things that is apparently being looked at by the winning team for the RFP’s adaptive reuse of the former station, is how, besides the use of the station as a gateway into the Rail Corridor as a community space, is the integration of the MRT station under its platforms into it. 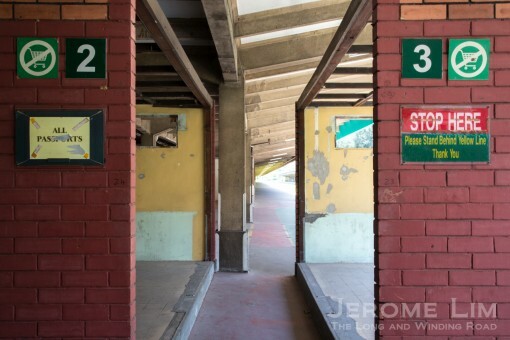 This may see an additional MRT station entrance between the platforms that will see traffic of passengers of the new train line over the platforms and through the former station’s main building. An impression of the MRT station’s entrance between the platforms produced by MKPL. New platforms are shown in this impression as it was initially thought that the sections of the platforms in way of the MRT station would have to be demolished to allow excavation work. The reverse view of the proposed MRT station’s entrance between the platforms. A canopy over it will be one of the interventions that will be necessary. 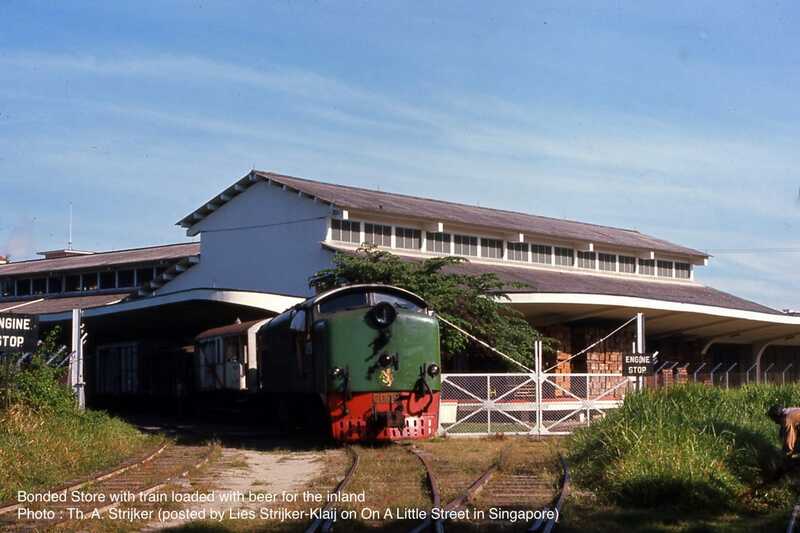 While this may necessitate several interventions that will alter the feel the former station once provided, it will be a rather meaningful outcome for the former railway station that in the words of the winning team MKPL Architects Pte Ltd and Turenscape International Ltd, will have “the former station, connecting Singapore’s past, present and future”. Another thing being looked at is the beautifying of the space fronting the station currently used as a car park as a “Station Green” – a landscaped garden intended to allow a better appreciation of the station’s grand façade. MKPL/Turenscape proposes to replace the car park, currently in front of the former station, with a landscaped garden. 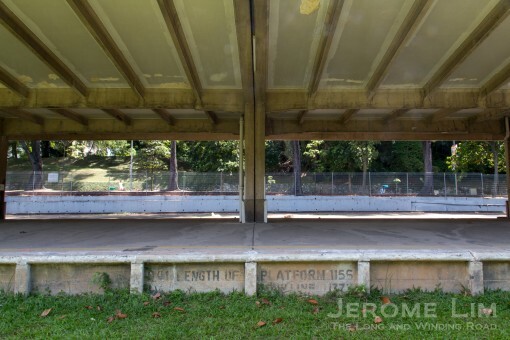 For those who want to take a last look at the former station before it closes and is forever altered, only three opportunities possibly remain. 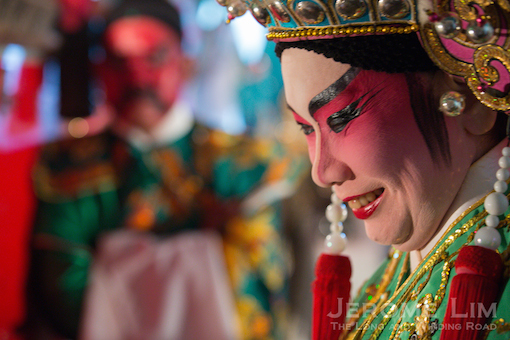 These coincide with the anticipated open houses that will be held over the year’s three remaining public holidays. 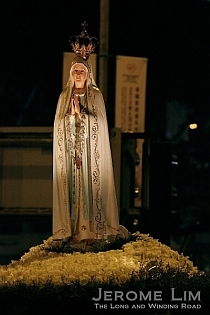 The last will be Christmas Day, a widely commemorated holiday that for the members of one of the larger religious communities here in Singapore, is one of promise. Built with a promise that could never be fulfilled, the grand old station will close after Christmas Day, with a new promise for its future. 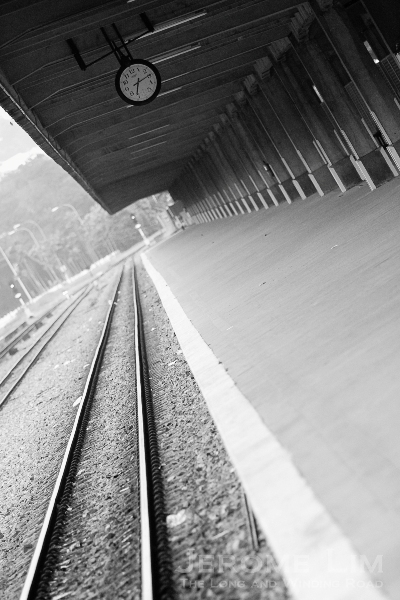 The length of the platforms, said to be among the longest in the FMSR’s stations, were to accommodate the longest mail trains. 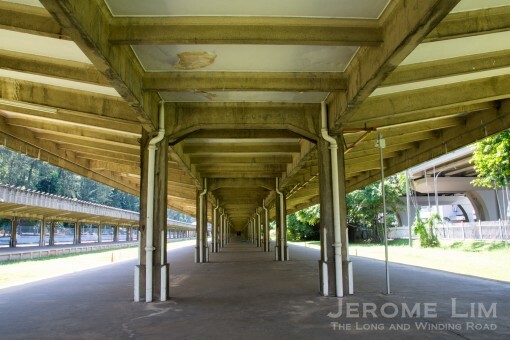 A look up what in the station’s last days, was the departure platform. Immigration counters on the departure platform last used by Malaysian immigration officers. These will surely be removed. One of two hydraulic stops at the end of the tracks – one was returned following the handover of the station. 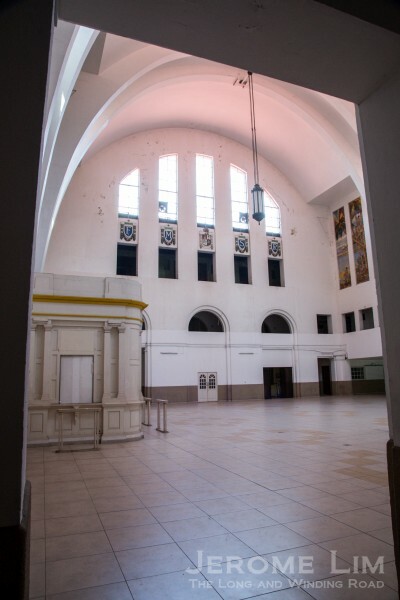 Rooms that were used by freight forwarders at the former station – these possibly will be converted for use by F&B or retail outlets in the future. Another look into a freight forwarders’ storeroom. A booth. 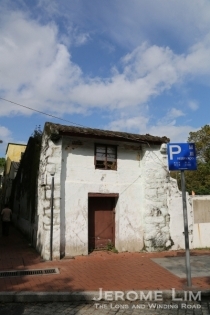 Last used by the auxiliary police at the station, the booth had in its early days, been used by the convenience shop that operated at the station. The inside of the former ticketing booth. Beautiful soft light illuminates some of the rooms along the main hall. 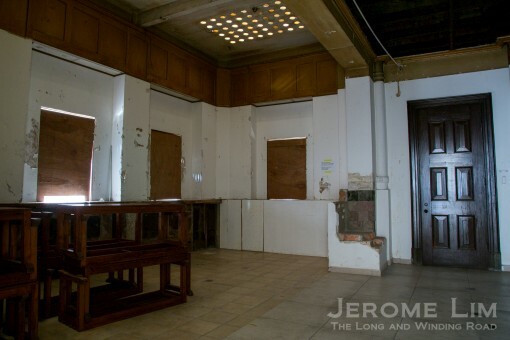 A part of the platforms where one could watch the world go slowly by over a cup of teh tarik in the station’s last days. 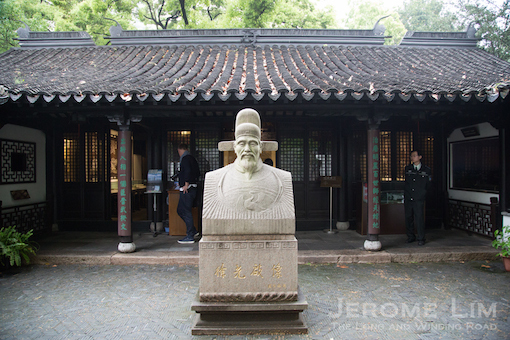 Another view of the main hall. There are lots of stories related to the haunting of the third level (section under the letters FMSR at the far end), used previously by the Station Hotel. 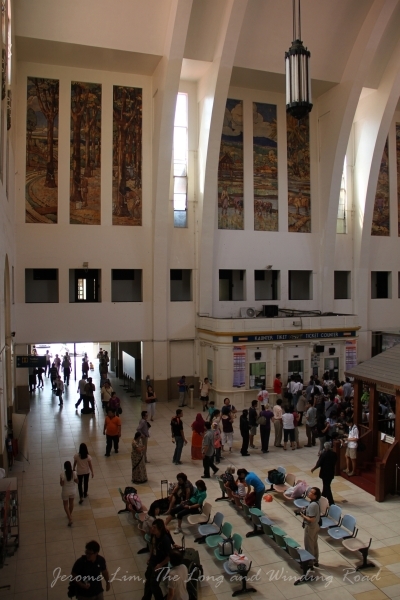 The clutter of the main hall in the station’s last days. 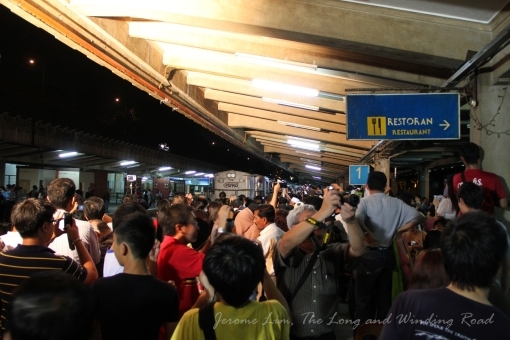 The crowd witnessing Tanjong Pagar’s last moments as a station late on 30 June 2011. A final glance at the main hall. 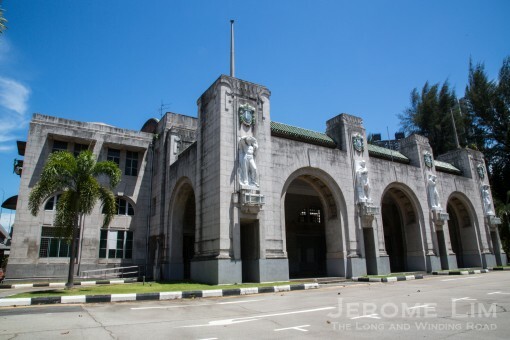 Gazetted as a National Monument in its final days as the southern terminal of the Malayan Raliway, the former Tanjong Pagar Railway Station was built in 1932 as a centrepiece that would underline Singapore’s growing importance as an economic centre in the British Far East. 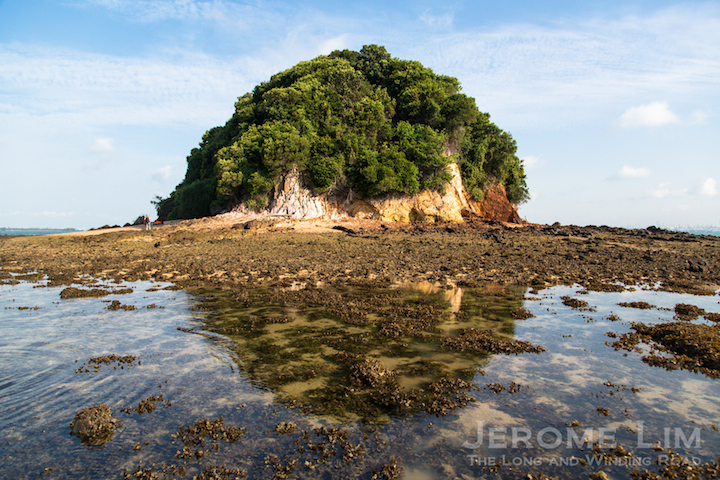 Its position was carefully considered for its envisaged role as a gateway from the southernmost point in continental Asia to the Pacific and Indian Oceans. Sir Cecil Clementi the Governor of Singapore, in his address at the station’s opening on 2 May 1932, made the observation that it was “a natural junction between land-borne and sea-borne traffic”, adding that it was “where every facility will be afforded for interchange between railway and ocean shipping”. It was a promise that was not to be fulfilled. 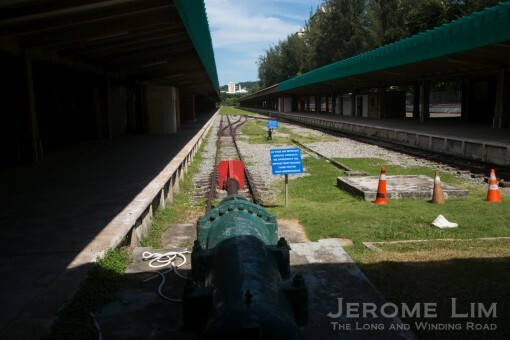 Sir Cecil could not have predicted that the railway’s importance as a means of transportation in the Malayan peninsula would diminish and just a little over 79 years since the 5.1.5 pm arrival of the first train from Bukit Panjang Station, the whistle of the last train to depart was heard late into the night of 30 June 2011. 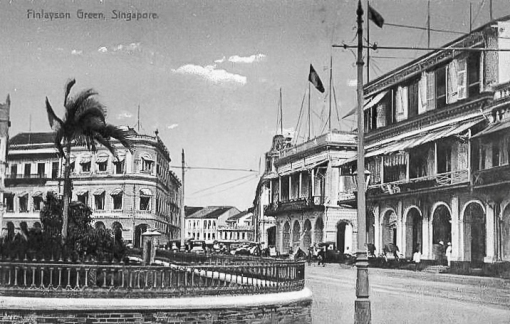 An agreement between the governments of Singapore and Malaysia (who through the administration of the railway, also owned the station and the land on which the railway operated through Ordinance 22 of 1918 or the Singapore Railway Transfer Ordinance 1918), which had taken two decades to sort out, saw to the move of the railway’s terminal to Woodlands and with that the transfer ownership the station and much of the railway land on the island to the Singapore government on 1 July 2011. 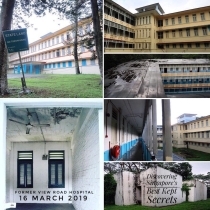 Since its closure, the station fell into disuse with the odd event held in the space, and in more recent times, a series of open houses held during public holidays. The location of the former station in what will become the Greater Southern Waterfront has put permanent plans for it on hold. A concept plan for an interim use is however being developed as part of the Rail Corridor RFP by a team led by MKPL Architects and landscape designers Turenscape International. An MRT station for the final stretch of the Circle Line is also being constructed under a section of the platforms, together with the line being run under the station. 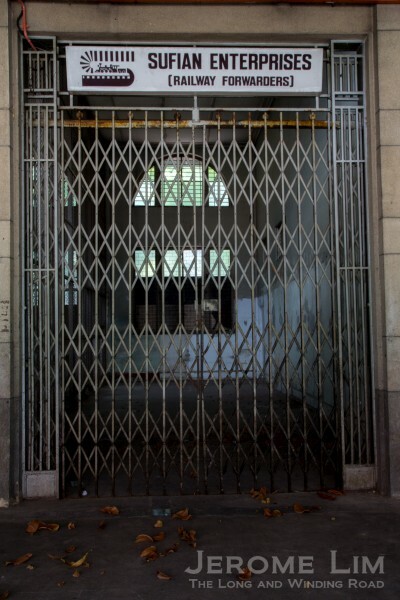 The work being carried out means that the former station closed to the public for a substantial period of time with the completion of the MRT scheduled for 2025. 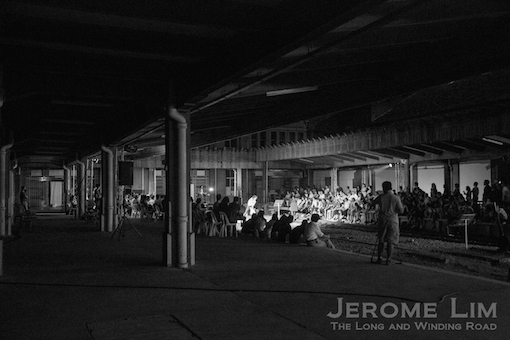 The station found use after its closure as an event space. 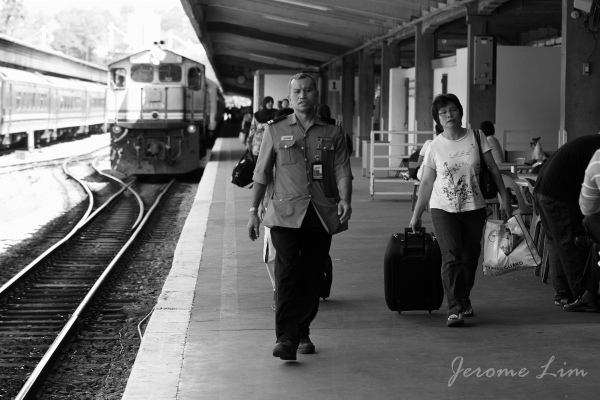 The rush by the staff at the station to leave on the last train at the end of the final day of operations. 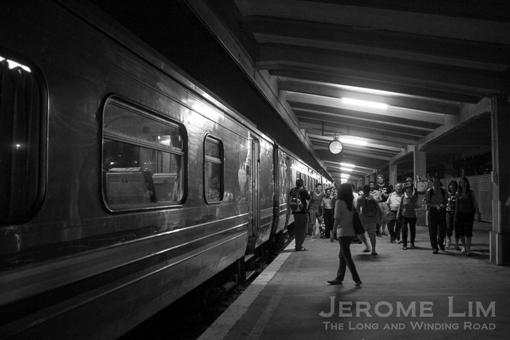 A final journey on the Malayan Railway on 30 June 2011. A last breakfast on 30 June 2011. 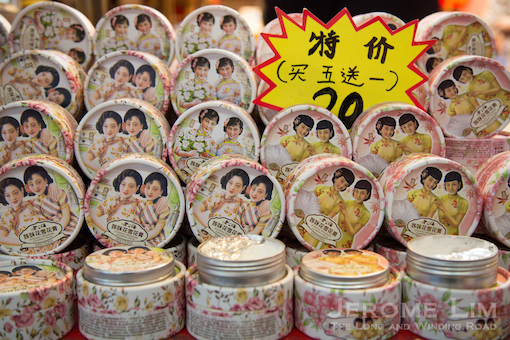 A reflection on the convenience store and the main hall in the last days. 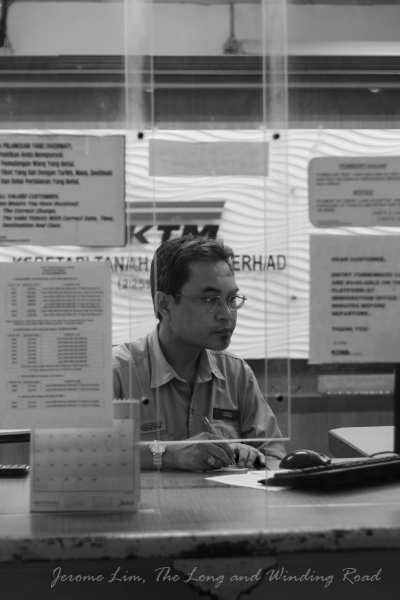 The very hardworking last Station Master at the station, En. Ayub. The arrival platform with its meal time crowd. The welcome. One of the first things that would greet passengers after mid 1998 when the Singapore CIQ was relocated to Woodlands. 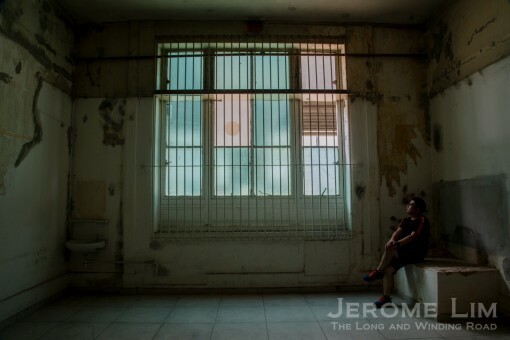 Prior to the move, it would have been necessary to pass through Singapore Immigration, Customs and a narrow fenced passageway where dogs (behind the fence) would sniff passengers for narcotics. 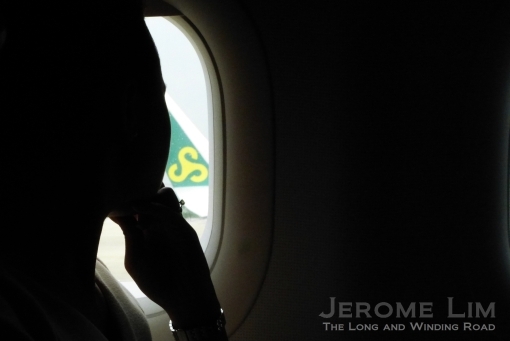 The wait for a loved one. Watching the world go slowly by over a cup of teh tarik. The walk to Spooner Road. The very friendly En. Azmi. He was posted to the station on 1st July 1990 and completed a full 21 years of service at the station when it ceased operations on 30th June 2011. 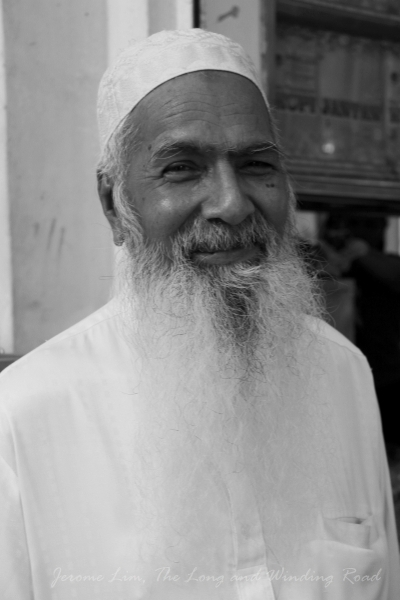 Mr Mahmoodul Hasan, the M. Hasan in the name of the station’s makan place. He ran the station’s two canteens before its closure. 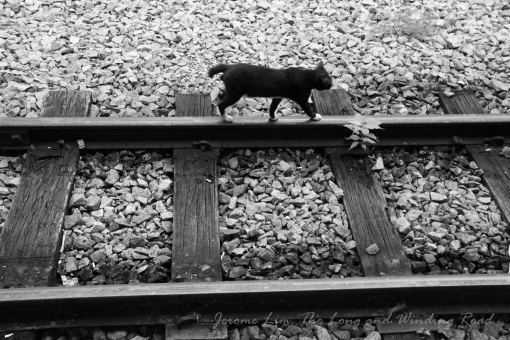 Catwalk – one of the many cats the station played host to. A view down the platform. 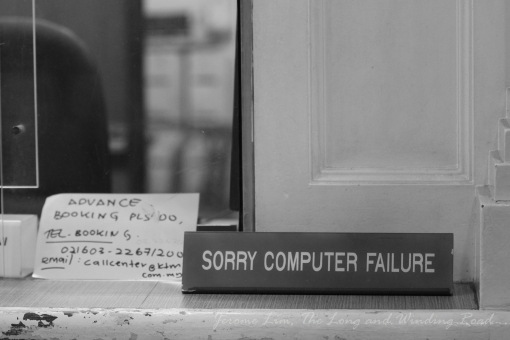 An all too common occurrence at the ticketing counter. 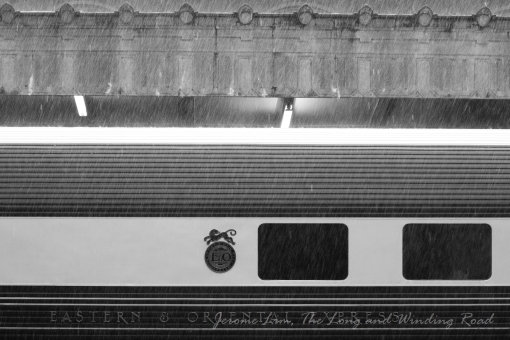 The last Eastern and Oriental Express train to depart. 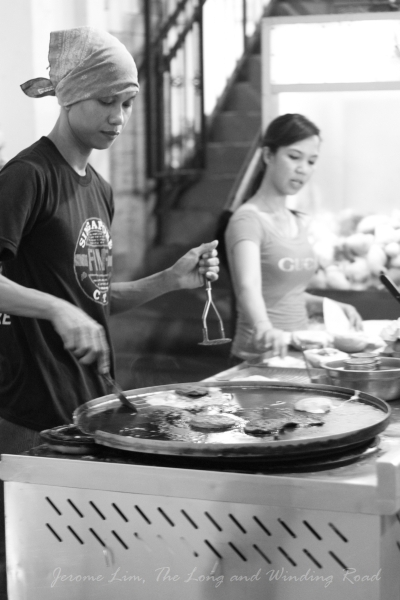 The Ramly Burger stand. Food was one of the draws of the station. The day the music died. 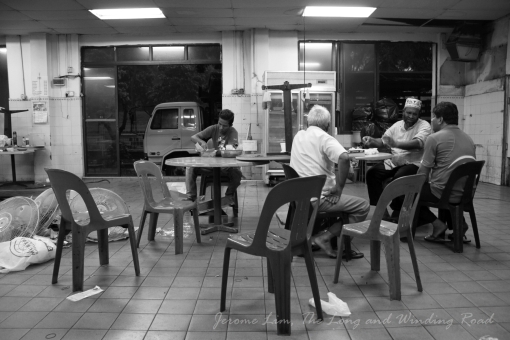 12.45 pm on 24 June 2011, when the last plate of Briyani from the popular Ali Nacha stall at the Tanjong Pagar Railway Station was served. 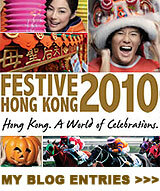 The festive crowd – when queues formed for tickets in the lead up to Chinese New Year. 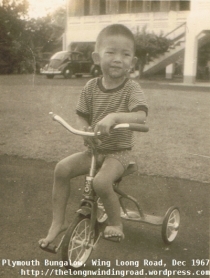 Many with roots in Malaysian would return by train to their home towns for the important holiday (photo source: National Archives online). 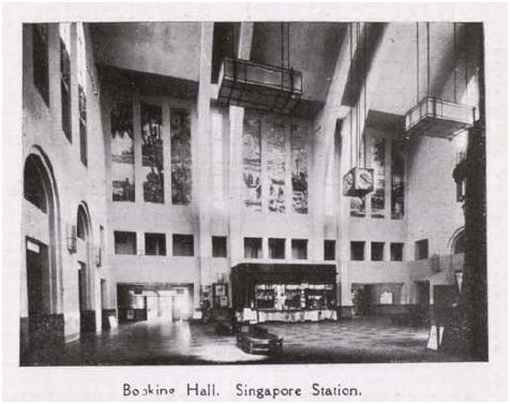 The main hall of the station in its early days. 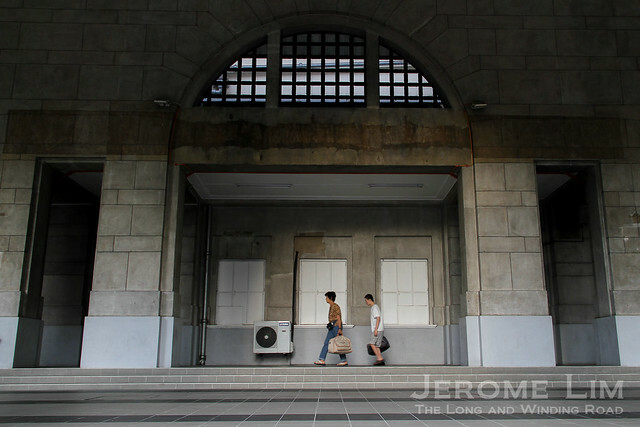 The station was built in 1932 to serve as a gateway to the oceans, through the wharves at Tanjong Pagar. 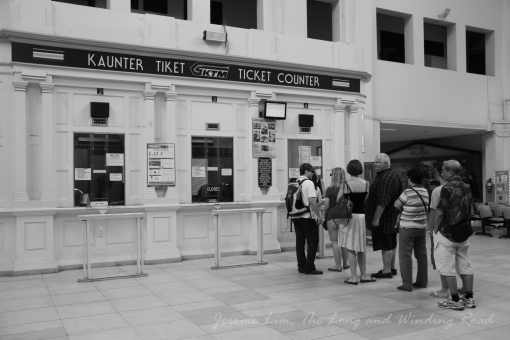 Its opening on 2 May 1932 was marked by the 5.15 pm arrival of a train from Bukit Panjang. The first the public saw of it however, was several months prior to this, when it was used for a Manufacturer’s Exhibition in January 1932. 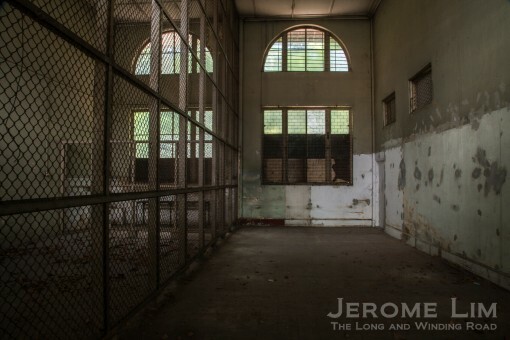 I can’t help but feel a sense of loss wandering around the former Bukit Timah Railway Station. 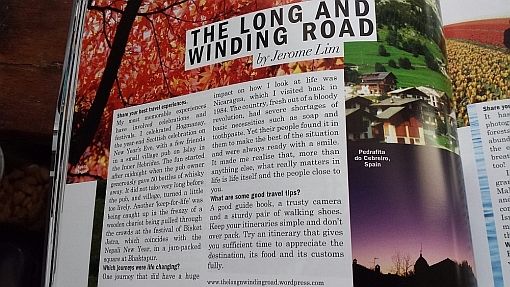 Set in one of the greener and isolated stretches of the rail corridor in the days of the railway, it was a magical place that had the effect of taking one far away from the madness of a Singapore that had come too far too fast. Now a sorry sight behind an unsightly green fence, its still green settings is an much altered one scarred by the removal of the railway’s tracks and ballast, turfing and maintenance work. The station had a special charm. 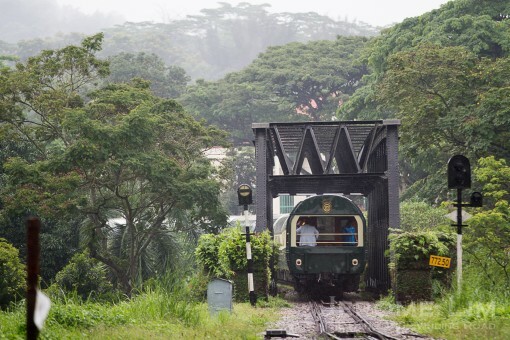 Built in 1932 as part of the railway deviation scheme, it wore the appearance of a rural railway station, especially in surroundings that were most unlike the post-independence Singapore we had come to know. 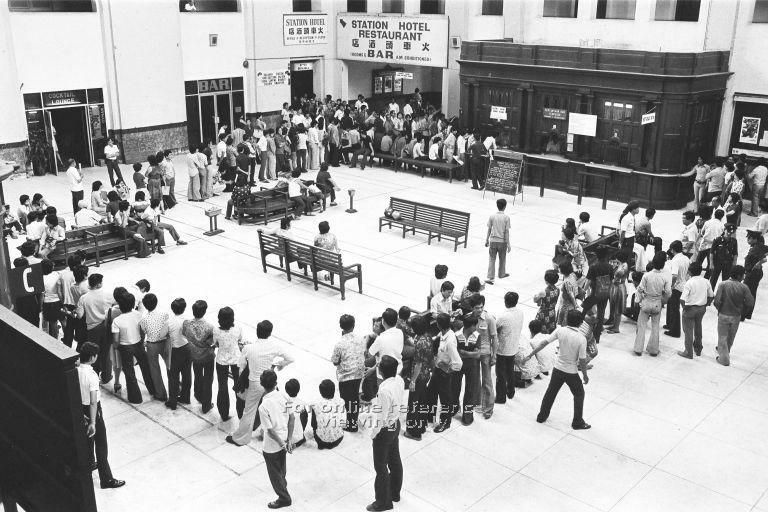 A passenger station in its early days and a point where racehorses transported for races at the nearby turf club were offloaded, the station in its latter days functioned more as a signal box for the exchange of key tokens (the token handed authority to the passing trains for the use of the single track that ran south to Tanjong Pagar and north to Woodlands). The world around station is due to be upset further. Work to lay a water pipeline that will supply Singapore’s future needs, will start in the area of the station, is due later this quarter. It will only be at the end of the 2018 before the area is to be reopened, when it will, without a doubt, bear the scars left by the activity. 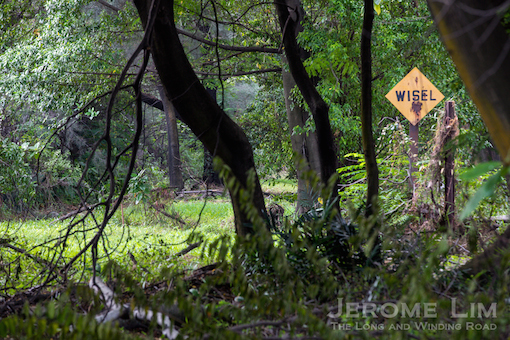 There is however hope for its restoration, at least as a green space. 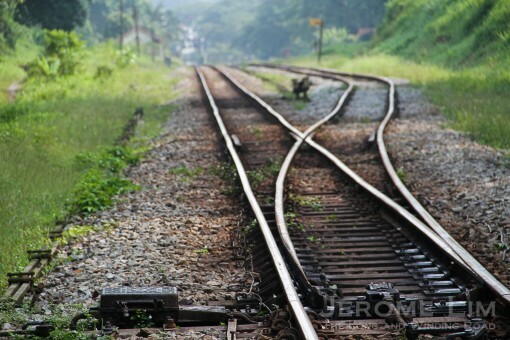 This future, is now in the hands of the winning design consultants for the Rail Corridor concept plan. As part of the concept plan, a detailed design exercise is being carried out for a 4 km signature stretch. This includes the area of the former station. Feedback obtained through engagement efforts with various stakeholders and the public is being taken into consideration for this. 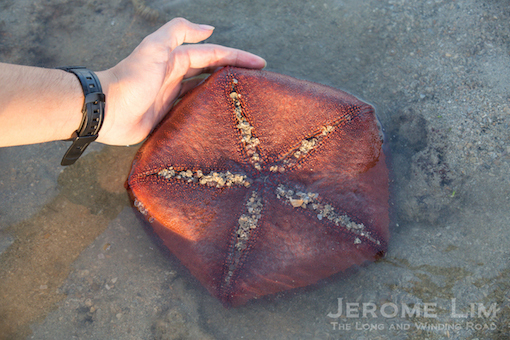 What is left to be seen is its outcome, which should be interesting to see. This should be made public in the months ahead. It would of course be impossible to recreate the world that once was, but what would be good to see in the detailed design is that it remains a place in which one can run far from a Singapore we already have too much of.